Scientific research has confirmed that Neem Seed Oil is non-toxic to mammals and may be a very effective antiseptic, antifungal, antibacterial, antiviral agent. Neem seed oil has been used for centuries in traditional Indian medicine to aid in the healing of topical skin disorders such as eczema, psoriasis, rashes, burns and acne. Considered to be a natural insect repellent. Has a very strong odor that has been described as a blend of nut and garlic. All Natural. Cold Pressed. COMMENTS: It's working wonders on my eczema. I use it in body butter/lotions and in CPOP soap (for humans and dogs) with lots of honey and colloidal oatmeal. I add about 0.5% of May Chang EO to the body butters and lotions "take the edge off" the smell. "My son had skin issues until now!" COMMENTS: My son has allergies to many soaps, a few years ago a doctor recommended purchasing Neem Oil Soap to use for him, it did help and was very expensive, so we had to stop buying it for him at $10.00 per bar back when he was 8 yrs old (22yrs now). My son has oily skin and issues with it on his back & chest. I recently started making MP Soaps, I bought a Detergent Free Aloe & Olive, added a few drops of Neem Oil to it, and let him pick the color - no fragrance was added, poured in a mold he liked, and his skin issues are clearing up for a fraction of the cost! It is really helping his skin a lot! Will deffinately purchase more and continue to use it for him! • A little bit goes a long way! "Excellent oil for variety of skin products"
COMMENTS: High quality Neem oil--really good price. Always fresh and I've had no problems at all over the years--great stuff! COMMENTS: Packaging is great. Quality is amazing. COMMENTS: Neem oil is a super oil, while the smell may be off putting to some, the healing magic of this oil is well worth a little bit of odd scent. COMMENTS: I like using Neem oil when creating specialty soaps for problem skin. COMMENTS: I used this oil to create a shampoo for our dog. Though our hot summer here in Georgia, our dog Daisy suffered from some severe "hot" spots. She had bite almost all her hair off and I researched neem oil as a possible remedy. We used the shampoo and viola not only was it a sucessful but her hair has grown back and she is very thankful. "Good oil for facial soap"
COMMENTS: I use this as a facial soap and find that it is very beneficial for people with problem skin and pimples. I do not put any fragrance with it because it has a very distinct smell, which I like. Very nutty smelling to my nose. I've used it for 2 years, and it sells very well at the markets I sell at. COMMENTS: Love this in spite of the funky odor Neem oil has. unfortunately all neem oils i've ever used have that distinct smell, but once you mix it with other EO's or fragrances, you usually don't smell the neem anymore. the quality is good and i think the price is good compared to other brands. will definitely buy again. COMMENTS: I make a special soap using neem oil for my customers with eczema and psoriasis. They say this soap helps tremendously. Yes it smells like peanut butter and garlic. Theraputic! "Works well & Smell will calm after time"
COMMENTS: I bought this oil due to its properties for skin conditions. I used it in a body butter for my family and myself. I used it with essential oils of Lemon and Orange. Initially, it stunk to the heavens, but eventually (4-5 days) the smell calmed significantly. When it is applied to the skin, the 'neem oil' smell reduces within minutes. I will buy this product again, a little goes a long way. My next application will be soap! "Never used before but will use again"
COMMENTS: Made a nice pet shampoo bar - great consistency in soap. Smell is there slightly (made in scented batch) but after the cure it's not so strong and it seems to work. COMMENTS: love this oil it make a foot deodorizer and it works great plus use it in my soaps . "My dog will enjoy this one!" 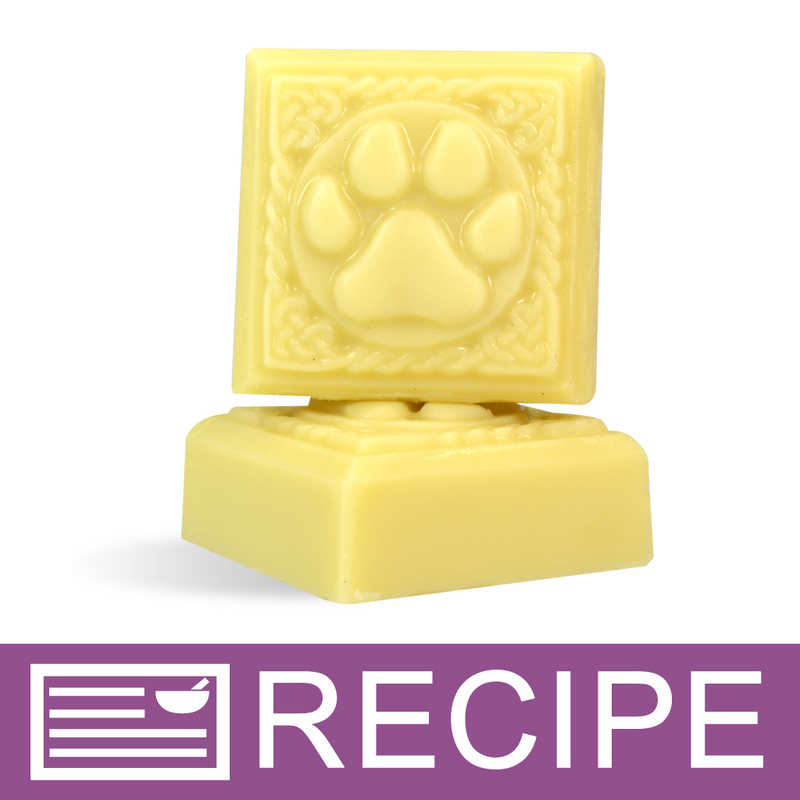 COMMENTS: I made a shampoo bar for my pets(dogs)and the benefits of neem will help them. The bar turned out great! COMMENTS: There are a lot of reviews stating this oil smells terrible...for some reason, I LOVE the smell. It's a deep, warm, garlic/nut smell. I wouldn't wear it as a perfume, mind you, but I suffer from insomnia and this oil helps me fall asleep (something the famed lavender and chamomile could never do). The scent is relaxing in my opinion. I didn't buy it for the purpose of putting me to sleep but I use it on my face at night and the smell, well, it helps me fall asleep. It's dreamy. ;) The Neem oil itself seems like top quality! Nice and thick. Dark green and the aroma is pure for sure. I'm pleased with the purchase. WSP is a great place to buy oils! Will be back for more. "Strong smell, but its really good for the skin"
COMMENTS: I made soap with this oil, even add a little bit, still smell really strong. I don't like the smell, but I do like the feeling after shower with it. COMMENTS: Made a facial bar using this neem oil, added tea tree oil, dead sea mud, activated charcoal, rose hip clay, nettle leaf powder and tangerine essential oil. the tangerine eo was no match for he tea tree and neem oil smell. I now call it my stinky face soap. but boy does it do amazing things for my face. I am 34 and have acne like a teenager. It has calmed my face down so much. its amazing. will deff buy more when the time comes!! COMMENTS: Lol this is going to sound strange. Yes this stinks, but at the same time I find myself wanting to keep smelling it lol. I hate it, but its like me I'm drawn to it. I use this personaly for acne care. I can't see trying to sell this to customers. Maybe if someone requests for a strong acne care product. I've been in situations that I didn't care what it smelled like as long as it worked. "Glad the description warned me..."
COMMENTS: The description warns that it has a "very strong" odor- absolutely right! I knew it was a good oil for eczema, but that everyone hated the smell, so I have avoided it before. I finally broke down and made a batch with Neem oil for those that need something stronger than my usual blend, but am using stronger scented fragrance/essential oils to hide the nasty, nutty smell (and I like nuts!). However, I have found that it works great for my fly spray- particularly the fly spray I make for horses. You need to reapply more often than commercial, chemical sprays, but even the horseflies and deerflies don't like it! Definitely a good product. COMMENTS: If I keep this at less than 1% it doesn't come through in the finished soap. It is a great additive for my face and shampoo bars. COMMENTS: Very good oil for acne prone skin. Absorbs easily into the skin. A little goes a long way. The smell is tolerable. COMMENTS: This is a very strong smelling product. I use this in my deodorant, some soap recipes & in bug sprays. Seems to be very good quality. COMMENTS: First off: Neem oil STINKS! But, it's probably one of the best healing oils on earth. It blends very well with other oils and essential oils. I use it in my conditioner and have received rave reviews! Try it! It's worth it! COMMENTS: This is my first time purchasing Neem OIl so I was a little taken aback at the way it smelled but it soaps beautifully. It has a nice viscous texture that I will be using for a couple of products. COMMENTS: Love the effectiveness, but the smell over powered my lemon scent! COMMENTS: Excellent for skin issues. COMMENTS: This oil is really great with respect to how it softens & moisturizes but the strong garlicky aroma it way too much for me. It overpowered my fragrance oils. Not a fan at all! COMMENTS: tiniest bit goes a long way customers love it in their products for themselves and their pets we add a odor neutralizer to cover the neem scent and the end products smell great! this does work to help eczema, psoriasis and keeps bugs at bay also! I've seen it work and try to keep it on hand. Hubby picked up a store brand neem oil for us to try and we kept the product for ourselves - the stuff was oily and too stinky to cover up - what a waste of supplies. Back to WSP Neem oil! COMMENTS: I bought this to make pet shampoo. Just be aware it has an extremely strong scent straight out of the bottle! I can't wait to work with it! COMMENTS: Can't get enough of Neem oil,I use it on my anti bacterial/anti fungal oil and it works great.I will definitely be buying more. "Neem oil works miracles in dog shampoo!" COMMENTS: A dog experiencing excessive shedding, itchy skin, or flea bites will benefit greatly by using neem oil in their shampoo. People who's pets have allergies tell me my neem oil shampoo works miracles, their pets respond positively after the first application and improve with each shampoo. I sell a set including the neem oil pet shampoo with the pet spritz, like in the "Pampering Pet Set Kit", and can't keep it in stock. WSP has the highest quality and best pricing on neem oil. I'll never switch! COMMENTS: Ordered this for eczema products based on other reviews and it is very effective. Also, the smell can be easily covered with EOs. COMMENTS: This oil is a fantastic addition to lotions and salves designed for people with problem skin. It also works wonders for "chicken skin" when used in a product as part of a daily skin regimen. I have used this as an ingredient in anhydrous lotion products with very positive results, and have found that vanilla and honey fragrances mask any residual odor of this oil. Hope this info helps anyone who was interested! COMMENTS: This oil works wonders and I always recommend it for customers who have skin conditions!! It stinks but its a must have!! COMMENTS: Mixed well with the pet shampoo. I also made neem balm for my eczema and it works well. Do be careful that neem oil has a stronge smell. COMMENTS: I wish I could say I love the smell, although it does remind me of living on the farm. I used this in cold process soap and my nieces and nephews love it and its worked great for their "issue". "One of the best oils!" COMMENTS: This oil has amazing properties! I use it in a soothing soap recipe and herbal salve. Need to use essential oils that blend well with the scent. This is a must for anyone with skin problems. COMMENTS: Added this to my bug repellent blend. It has a VERY strong garlic odor. It has kept the bugs off the dogs, they didn't like the smell at first. The next day it wasn't as strong smelling. COMMENTS: This works great if you suffer from itchy and sensitive scalp, this is the product is for you. Beware, very STRONG ODOR! But, it is worth it. COMMENTS: I use this oil because of its great properties for problem skin and it works very well! I am going to re-order it. COMMENTS: Used this in a dog shampoo bar. Works great but has a very strong scent, but that's what repels to bugs so I guess it's doing it's job! "Great for dog shampoo! Will order again!" COMMENTS: A Great product for dog shampoo! With all the properties that repell unwanted 'critters" from dogs, along with the antiinfective, antibacterial, antifungal, antipest properties, it is wonderful! I add eucalyptus and lemongrass EO's to mask the slight garlicky odor. The best. No excelleration or ricing. • The quality and properties it contains. COMMENTS: I use this in my eczema balms and directly on pimples and blemishes. The healing properties of neem oil are amazing. The smell doesn't bother me and is easily hidden with other oils/butters and essential oil. COMMENTS: I love neem oil! It has a great amount of properties. Once you get over the smell though, to me it smells like coffee. 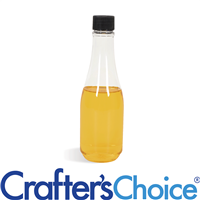 Crafters Choice Neem Oil stayed fresh and worked great. COMMENTS: Love the neem oil I use it in my sportsman cold process bar for its tick repelling properties. It works great in my canine bar too. COMMENTS: I use this in the soap I make for my kids' really bad eczema and it works great. Also good as a bug repellant soap. The only thing I don't like about it is how strong the smell is. About the only thing I have found that works with it is tea tree oil. It tends to make the soap smell very medicinal but it is effective! COMMENTS: I use this for my dog soap. Works great. COMMENTS: Love this oil for making Neem Oil balm. Very effective for eczema. COMMENTS: Purchased this to use in lotion bars for a client with really bad psoriasis and she loved it! Only draw back is the scent is unique, it's nutty with a hint of earthy smell which is very hard to mask, I tell my clients its worth the scent to have the healing properties. COMMENTS: I love this neem oil. I know neem is pretty smelly, but it works wonders! I use it in shampoo/body cold process bars and in my cold sore balms. This is a great price, and I highly recommend. Fast shipping! COMMENTS: Good quality Neem oil here. It's kind of stinky and almost impossible to mask the smell if you use too much. The people that buy Neem products buy them for a reason though, and won't care. "This is one stinky product..."
COMMENTS: It has benifactors that i wouldnt leave out of my soap and lotions. COMMENTS: I was hesitant to use this because of the smell but I think the skin benefits outweigh the smell. I have really liked it. COMMENTS: I love added a very small amount to HP after the cook for the skin healing benefits but I tried to put neem oil in an eczema balm and the smell was too strong. Beware this oil smells like rotten garlic. COMMENTS: I've used this product in both lotion bars and lotions. I love the "anti" everything that it represents!!!! Great for those with minor skin issues. COMMENTS: I purchased this to make a special cream for two people I know who suffer with psoriasis/exzema. While I have not yet made the cream, I did use this oil personally after researching its array of uses and found it works on cold sores. When extremely stressed, I break out on/around my lips that are not only painful, but ugly, embarassing and take a long time to heal. I felt them starting and immediately applied a little of the oil with my fingertip last night and felt a slight tingling sensation. By this morning, the bumps are almost non-existent and my lips are softer. I will continue to apply it once per day until they're gone, but I'm a believer now. If it can do this for me, I know it will help those with bigger issues. Everybody talks about the scent which is a little bit garlicky, but it was far milder than what a lot of reviewers made it sound like it would be. Taste was a little funky, but . . .
"Wonderful oil, versitile oil and great for the ski"
COMMENTS: Yes! 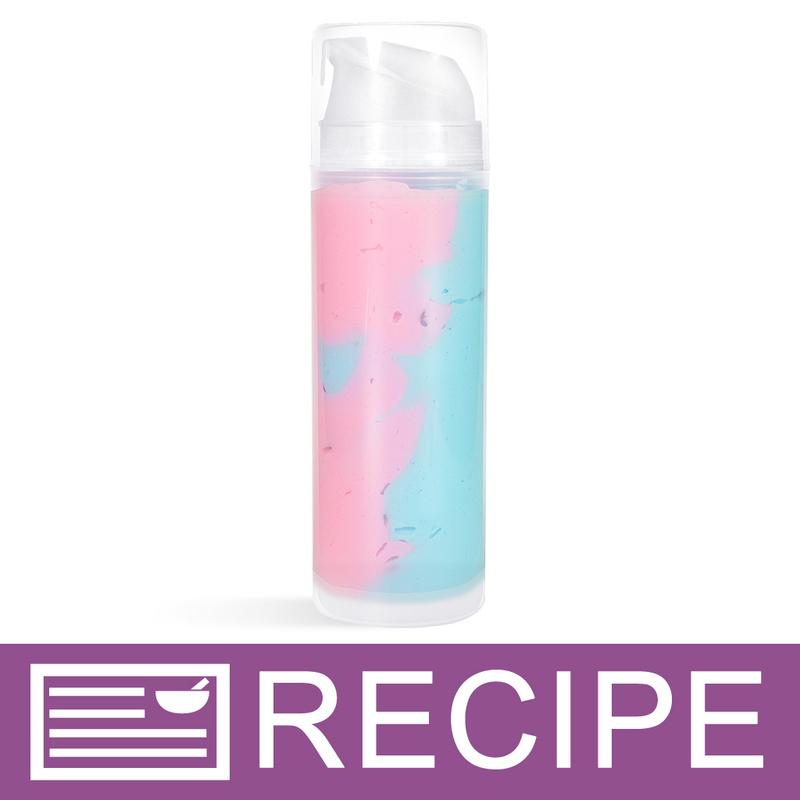 I love this product because of all the benefits it has and easy to use. I added this to my nail oil. COMMENTS: Having recently moved from the southwest to Missouri we were overwhelmed with bugs on our poor animals.I made a salve which included this & citronella.It did very well,with the long staying power in the oils quickly healed up their wounds. COMMENTS: I am so pleased with this base oil. The description was very helpful. I knew exactly what to expect. I used it a cold process soap recipe to make soap that would ease sensitive eczema skin and it worked wonderfully! COMMENTS: Not everyone will love the nutty garlic smell...but I love garlic in general!...many skin loving benefits is a plus...I blend a few FO's to actually compliment the soap that I make...I love the finish product,..If used with a FO you can't really smell the nutty garlic...and it is a light scent in CP/HP not noticeable...Great Oil! COMMENTS: Neem oil is great in my Camper's Delight soap repelling insects and serving as a benefit for skin conditions. It does have a strong scent similar to an onion/garlic/woodsy type and is a dark oil with some small particles. 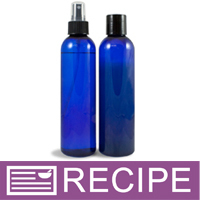 The scent in sprays or soaps will be lessened with essential oils. I have mixed it with a little tea tree oil and applied with pipette to a small wart and also of a psoriasis type lesion with these areas drying up and becoming smaller in past week. "Benefits out weigh the smell"
COMMENTS: ok this oil smells like thick soy sauce! But thats ok since it is a natural insect repellent and used in our pet shampoo and spray. I add the baby Powder FO and it mellows, but the shampoo is a bit strong, but again it dissipates and does what it should, by protecting pets from bites! COMMENTS: Very strong odor, but I am hopeful my cp soap with 20% neem will smell better after curing. Used lemongrass and tea tree to help overcome the powerful smell. COMMENTS: This is some stinky oil BUT the benefits of this oil is over the top. I have made soap to treat the skin disorders listed in the description of this oil and have had some unbelievable results!!!! I sell a lot of my products thru a fb group and we have meets on Saturdays. I have had customers come up and thank me because their acne, eczema, or psoriasis are completely cleared up. Great oil WSP, thank you. COMMENTS: If you've never used Neem Oil before, be prepared! It has a very strong and distinct scent I would describe as "pungent." The smell of the Neem oil doesn't fade after curing, so I would recommend small test batches to determine amount needed in a recipe. I use it in my psoriasis/eczema soap for its amazing skin benefits. I've also used Neem oil on cuts rather than Neosporin; its aid in quick healing compensated for the odor of the oil. COMMENTS: I use this in my herbal salve recipes! COMMENTS: Has a strong nutty garlicky odor...when used in small quantities easier to mask the odor...used this in a baby diaper rash cream and cleared it up nicely....the 2 oz bottle looks like its going to last for a long time..
"Weird smell but overall it was fine"
COMMENTS: First of all, the after adding this oil- my entire batch smelled horrible. The smell was so taxing- that I tried my best not to leave the room. Afterwards, the smell disappeared and after my bars cured- that smell no longer existed. I was worried that my fragrance would not take because the smell was extremely strong but everything worked out in the ends. COMMENTS: This was used with the oatmeal base and was made for exzema and rashes. THANK YOU!! COMMENTS: This oil was a big help in healing the damaged skin on my face after a bad allergic reaction. I had eczema, irritated, and scaly skin, and neem oil, combined with other soothing and healing oils, worked wonders on my skin! Within a week, my skin had replenished itself, and was back to it's normal state. COMMENTS: It's my first neem oil. I don't know what to compare to but the soap it made was wonderful! It does have a strong smell but that's how neem oil is. I used lemongrass EO with it and my mother likes the soap just fine. COMMENTS: In my opinion, I think this helps with acne and scaring. I read what others said too - they were right. A little goes a long way, it works great. I use a little with lavender and tea tree EO to cover the smell, as Neem does smell like strong garlic. I am already looking to add a whole line of soaps with Neem oil in them. COMMENTS: I use this for a bug repellent soap and it's great. Great price too! COMMENTS: We use this in an outdoor soap for the natural insect repellent qualities in the oil. Make sure you take into consideration the dark color and scent (a natural woodsy/tobacco scent)when using this oil, but you can't beat it for that unique specialty soap. COMMENTS: I like to use this in some of my cold process & hot process soaps. this stuff is great quality & does wonders for the skin! COMMENTS: I use wsp's Neem oil in one of my best selling recipes along with wsp's Tea Tree oil. It's hard to find Neem oil from other suppliers, and no one compares to wsp's prices. Without this particular oil, I would not be able to create my Neem & Tea Tree bars that my customers love! • That WSP carries this oil. COMMENTS: Use this for my pimple soap! Customers love it! COMMENTS: Great product. Not overly stinky like some Neem Oil. Great for MP soap. "Great oil for your pets"
COMMENTS: Once you get past the smell of Neem oil, the sky is the limit for this oil! I mainly use this in my cold process shampoo soap or my hot process dog shampoo. I will warn that this does stink when cooking. I really do not have an issue with the final product smell though. I use strong essential oils when I use this oil. COMMENTS: I like this oil for it's soothing and healing properties, but it definitely does have a strong unappealing scent. Nevertheless, I'll continue using it because it's that good! You can mask the scent if you use enough fragrance so don't let the bad smell keep you from all the great benefits of this wonderful oil. COMMENTS: I used Neem EO as a part of my bug spray this summer. It worked great at keeping away the pests. I had heard it did not smell very good. I did not notice a bad smell to my repellant. COMMENTS: Yep it has a funky odor...very herby...but our customers love the soap made with this and neem powder. Can't keep it in stock. COMMENTS: Great oil for skin conditions. I've used this is CP soap....beware that it does make the soap quite dark! The oil smells absolutely gross (LOL), but it has such amazing skin benefits! I've also used this straight on my husbands psoriasis and my daughters chicken pox - both with great success! COMMENTS: Have done some research on Neem Seed Oil. Found that it has been used for years in healing. I have been using it in small amounts in all my products (soap/lotion/shower gels/sugar & salt scrubs) for many years. Was thrilled to see it offered through WSP. "nice & stinky, as neem should be!" COMMENTS: I love neem oil, I use it in a few soaps. 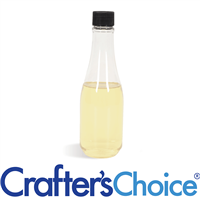 It has a strong earthy aroma and does well with oils that are similar. COMMENTS: The smell is horrid, it makes me want to vomit if I get too many whiffs. The benefits greatly outweigh the smell though! I use this in my homemade deodorant and it works extremely well! You barely need any for it to be effective, as it is pretty thick. LOVE this oil so much! COMMENTS: A great oil for specialty bars for a natural antifungal. Gets the job done! COMMENTS: stinks to high heaven, as neem does, but great value and great oil. for what i needed, it was perfect. "1st time Neem oil user"
COMMENTS: I wasn't sure about using neem oil in hot process soap. I had read several articles and wasn't sure I'd like the smell. I was surprised to find that the neem oil smelled like peanuts! Not all that bad after all! COMMENTS: I don't care for the smell of Neem oil but the results I get using it to make my Healing Face and Body Bar is fantastic. I really think the healing properties of this Neem Oil make a big difference for Acne and other skin conditions. COMMENTS: WSP seems to be one of very few companies offering this oil at a great price. I have used this oil in my acne bar recipe with great results. It smells like rancid peanut butter but I use tea tree EO and it helps mask the smell. I love this oil, thank you for carrying it. "This Neem Oil is the bomb!!" COMMENTS: I`ve been using this in my M&P for my pet line, it is awesome for their coat & to help repel fleas & ticks. Also in my M&P & lotions for a healing product for many things!! It`s great stuff! !1 I've bottled and sold this way also . I hope you never get rid of if so please let me know. COMMENTS: I'm begging you... do NOT discontinue this oil! Yes, it stinks (kind of like rotten onions) But it has done wonders for my facial soap. COMMENTS: Yes, it does have an odor to it, but once it's mixed with other products and scents the smell is not really noticeable. The benefits really out weigh any problems with the scent. I myself have problem skin and adding this to my products has really made a difference. If you decide to ever get rid of this product...notify me so I can buy a case or 2!! 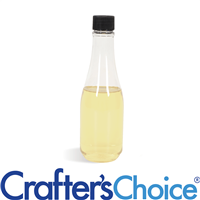 "Does this oil need to be diluted or can it be used as-is?" Staff Answer This oil can be used directly on the skin. "is the Neem oil cold pressed?" Staff Answer Yes, this oil is cold pressed. This information is found on the second page of product information under Points of Interest. 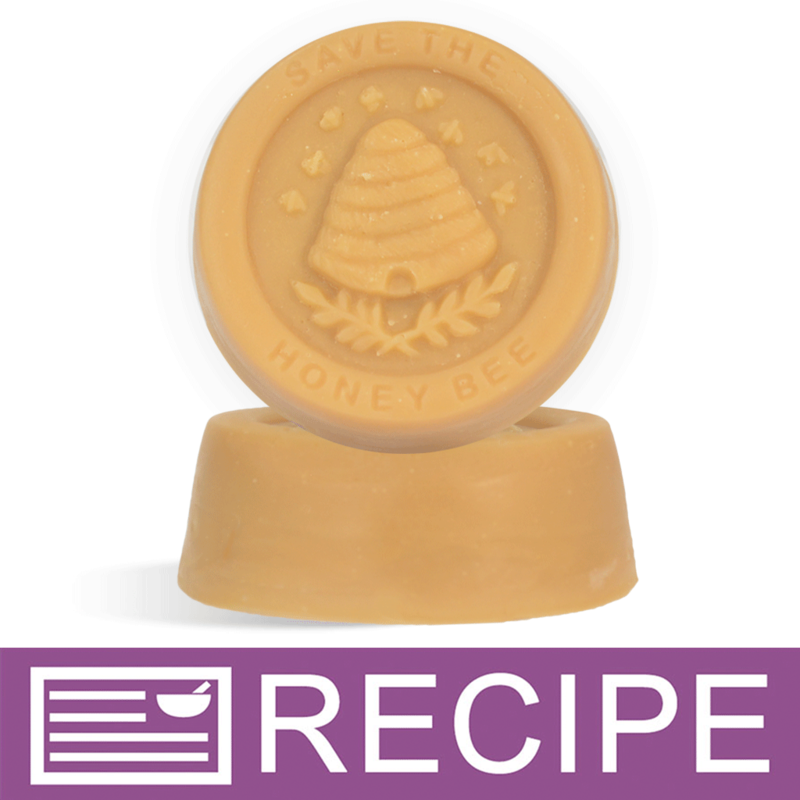 "Is this considered safe to use in a soap bar for a baby with eczema problems? Also can it be used in Melt & Pour just Cold Process? Are there other additives for Eczema that are better for babies?" Neem oil is very strong smelling and I wouldn't use it in MP as far as Eczema that is a medical condition so you cannot make any claims on it. I know some people do find it helps. With babies I honestly wouldn't use much other then a a milk castile. Or something creamy and gentile. I made my 2 year old neem balm. Try a few drops to start since it's pretty strong and be sure to dilute it with a carrier oil. I melted the jojoba butter blend took it off the stove to cool a bit then added my drops of neem. I also added lavender to get the smell out. Works beautifully on his skin and it smells wonderful (surprisingly). Staff Answer I would strongly recommend that everyone check with a pediatrician before using a new product on a child. "Is the Neem oil supposed to be liquid or more of a solid oil? Mine was very thick (Almost like a baby food thickness). Just wondering"
Staff Answer Neem oil is a very thick liquid oil. In colder temperatures it may be even thicker. You can place the entire container in a sink/bowl full of hot water to warm it up making it easier to pour. "With all the bad smell comments this products has, I had two questions. 1) Does the smell go away after the CP soap has cured? 2) For those making facial bars, what is a good percent to use to help with acne. Thanks"
A friend of mine made some cp soap with neem oil and she used lemon balm and tea tree oil with it. I love this soap for my acne prone skin and I can't smell the neem oil at all. The smell was ungodly when I made my CP soap batch. I honestly did not know what to expect afterwards but after it cured- the smell was gone! I know we were all thankful for that! Happy Soaping! "Is this 100% pure neem oil or is it diluted?" Staff Answer No our all natural Neem Oil is not diluted. The ingredients are: Melia Azadirachta Seed Oil, which is neem oil.